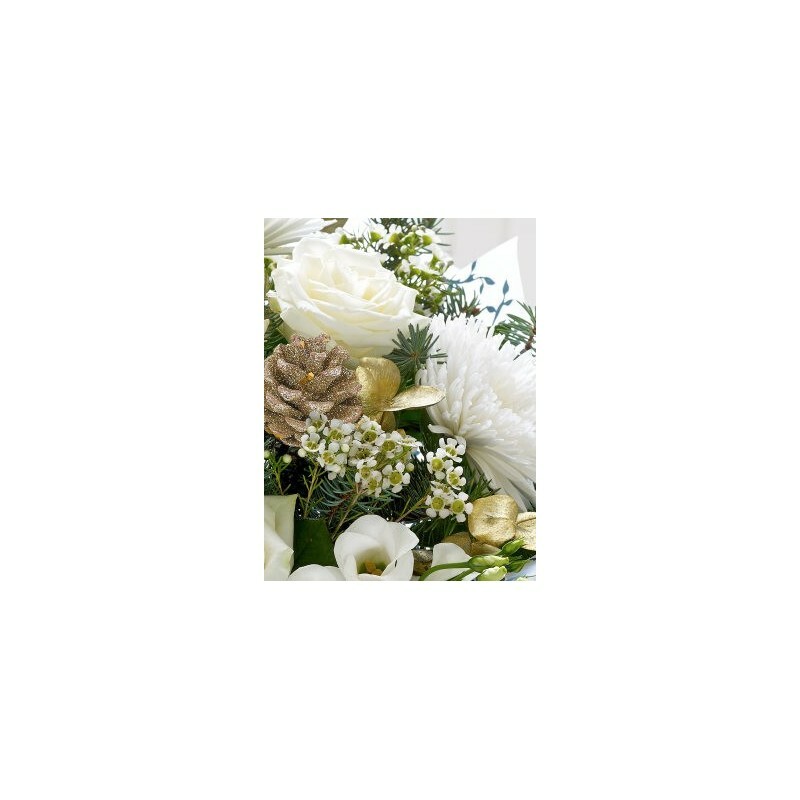 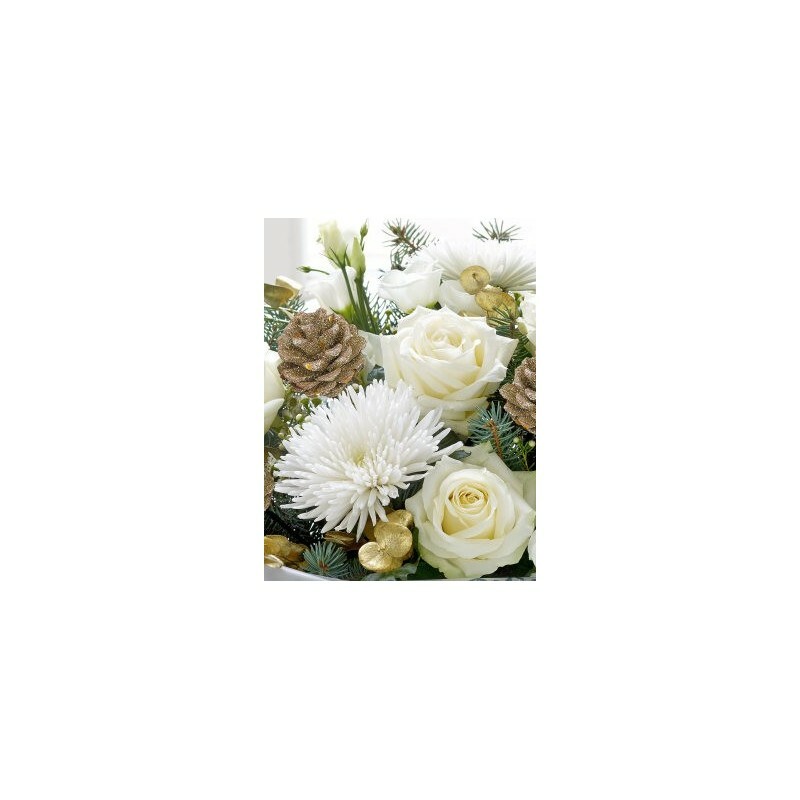 We’ve chosen white roses and bloom chrysanthemums as the stars of this luxurious bouquet, and added a mix of other flowers all in wintery white. 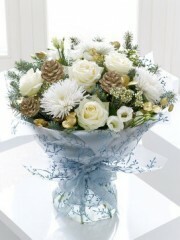 We’ve added pine cones and fir plus glints of gold and silvery frost to create the extra-special feel to this gift. 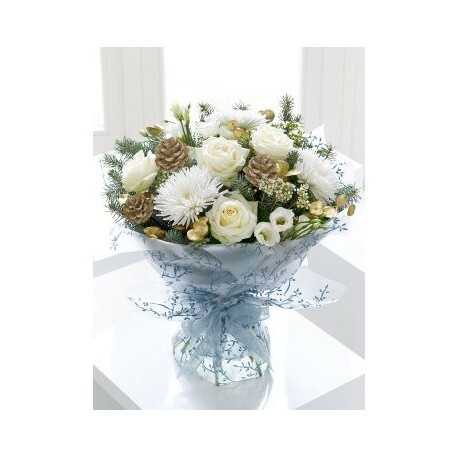 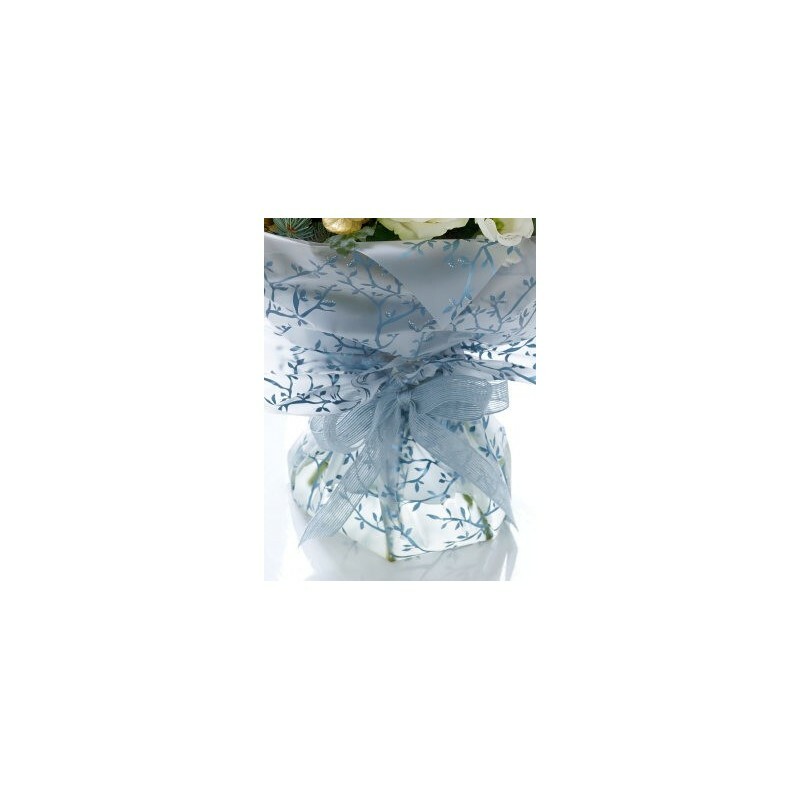 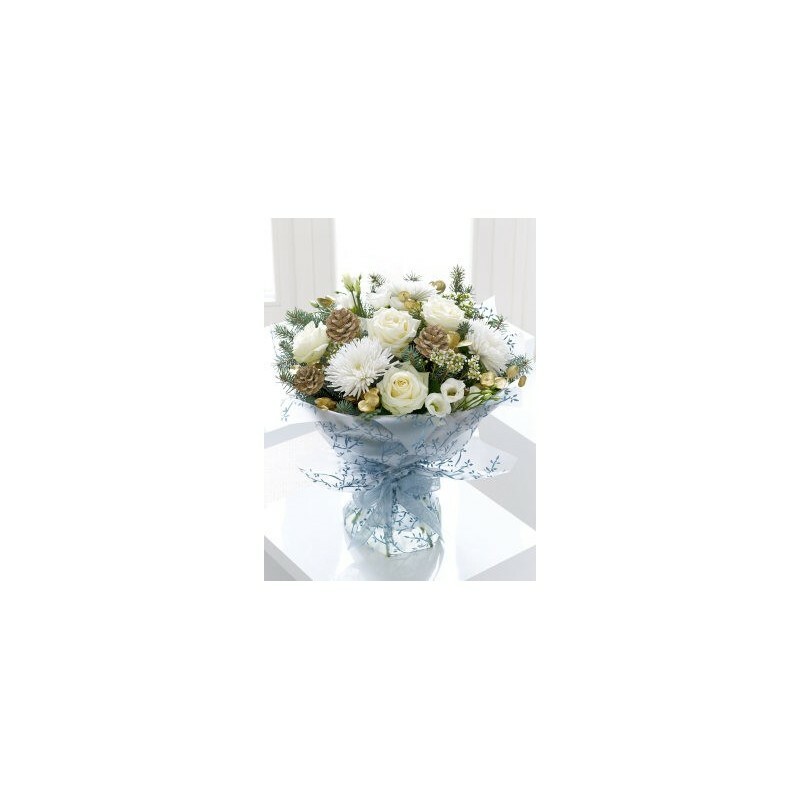 Featuring 4 white roses, 3 white Anastasia chrysanthemums, 2 white lisianthus and a white waxflower with golden eucalyptus, gold glittered pine cones and noble pine, wrapped and trimmed with an ice blue ribbon.